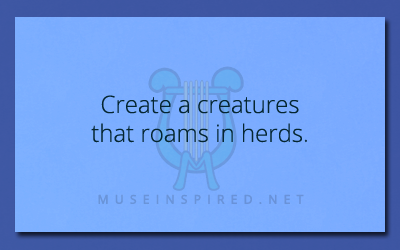 Crafting Creatures – Create a creature that roams in herds. Crafting Creatures - Create a mollusk that is popular for jewelry because of it's beautiful shell. Crafting Creatures - Create a bird large enough to carry off a horse.